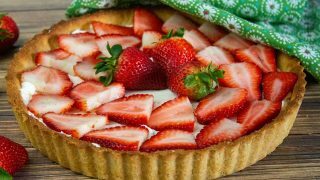 This easy to make sugar-free Strawberry Tart is made with a simple shortbread cookie crust and filled with an almond cream filling. 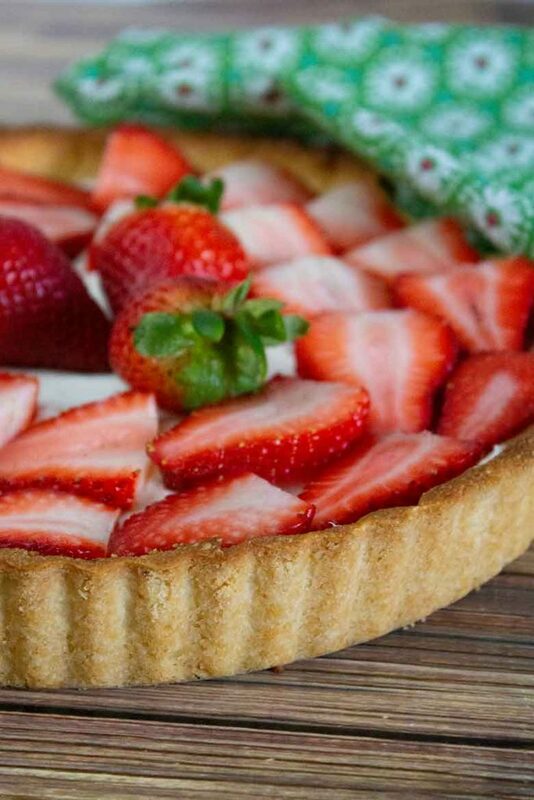 It is brought to the next level of deliciousness with fresh sliced strawberries added to the top of the tart! 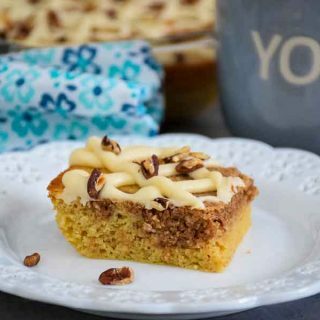 This Keto friendly dessert is so delicious your friends will not believe it is sugar free! 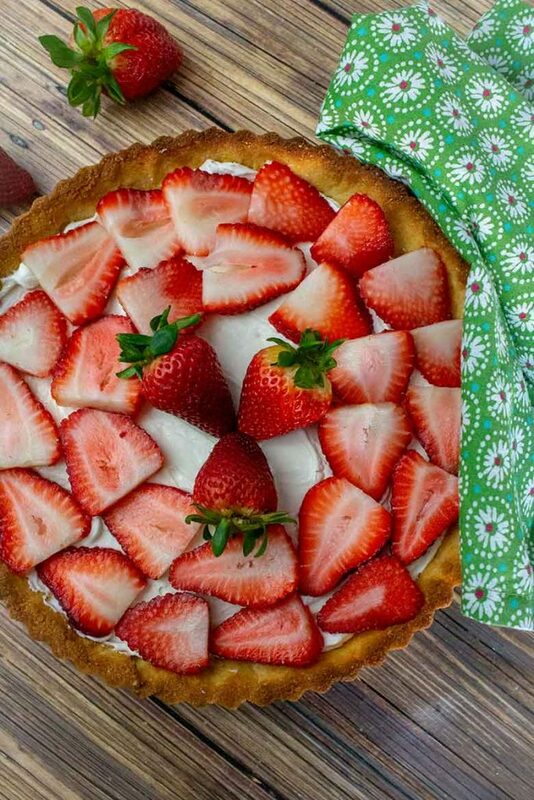 Easy Strawberry Tart is perfect for those spring events. Think Easter, Mother’s Day, and Memorial Day. 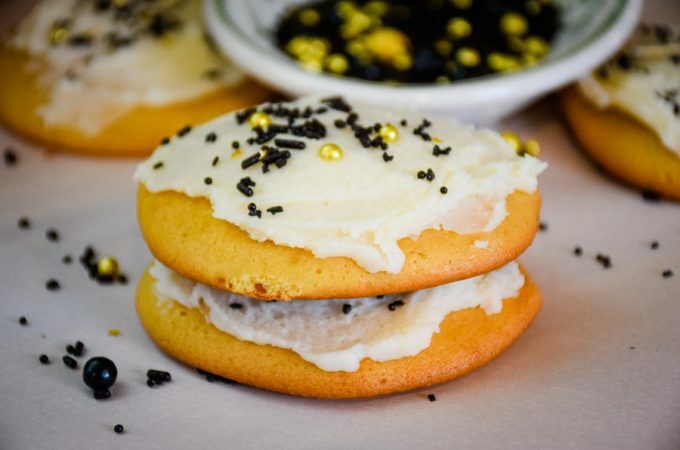 It would also be a perfect bridal or baby shower treat to serve. 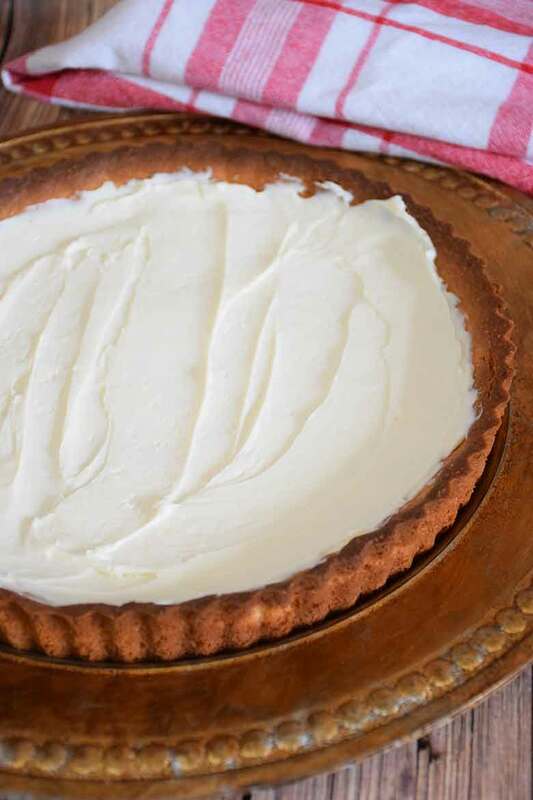 The best part about this tart is how easy it is to make and it is so elegant it looks like you spent a ton of time on it, when you didn’t! 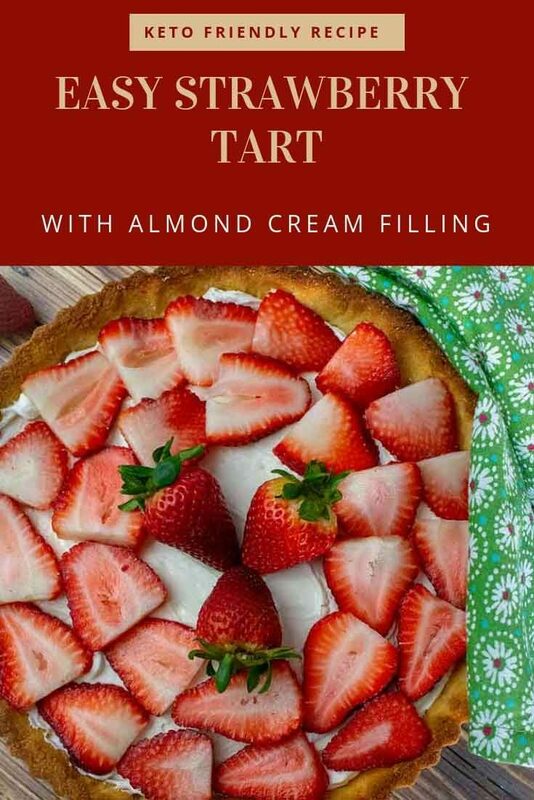 Why I made this Strawberry Tart with Almond Cream Filling. In our pre-keto days, Grumpy and I would enjoy a Strawberry Almond Cream Tart on our anniversary. 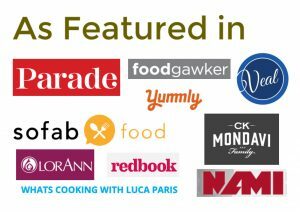 It was a non keto, cooking light recipe that we absolutely loved (and still do), but we don’t eat it anymore since going Keto. 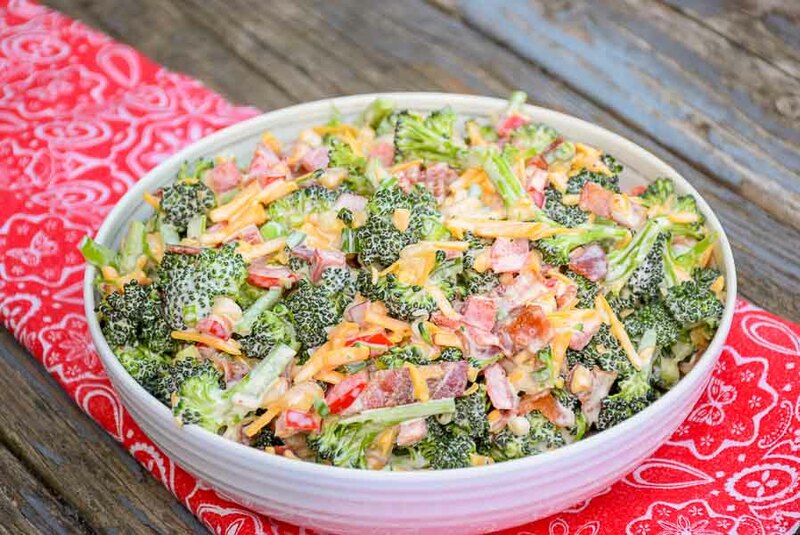 I wanted to make something similar that would fit into our keto diet as well as be easy, delicious, and gorgeous! Since we can’t have graham crackers on this diet, unless I make a keto version of them myself, I decided to make a shortbread cookie crust for the tart. Then, I just used cream cheese, powdered Swerve, almond extract, and some heavy cream for the almond cream filling. 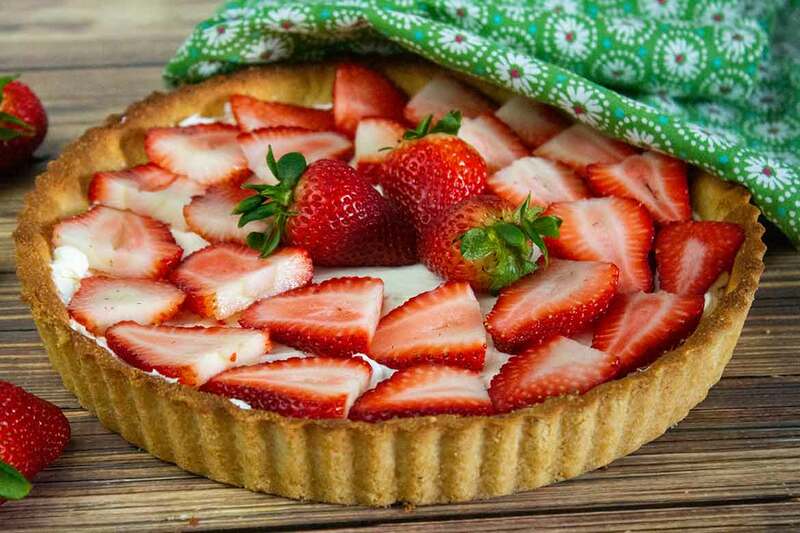 Strawberries are one fruit that is keto friendly so, just fresh sliced strawberries arranged over the top of the cream filling gave the tart the freshness it needed to be the perfect spring dessert! 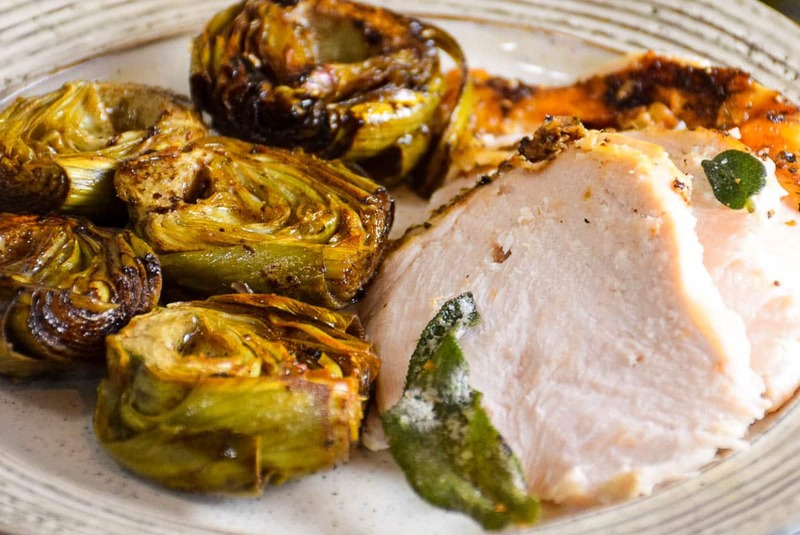 What is the best tart pan to use for this recipe? My favorite tart pan is a non-stick one with a removable loose bottom. This allows you to “push” the tart up and out of the mold without breaking it. 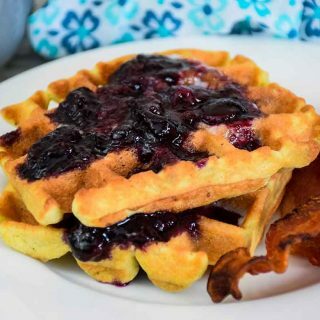 Can I use any type of sweetener in this recipe? I have used both granulated Monkfruit and Swerve sweetener in the crust and it turned out great. I have not tried stevia in the cookie, so I can’t say how it will turn out. However, I steer away from using Stevia too much because for me it will have a bitter aftertaste. My recommendation is to stick with Monkfruit or Swerve. 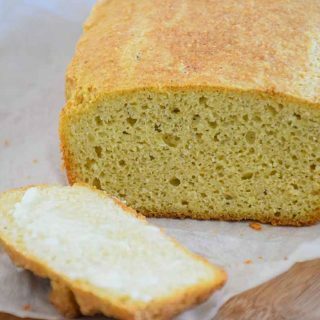 Yes, you can substitute coconut oil for butter in this recipe. 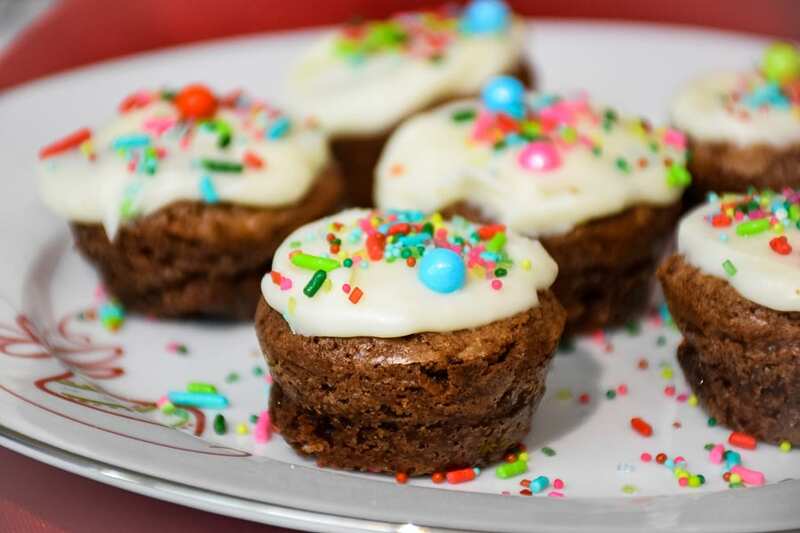 Can I use fat free or reduced fat cream cheese instead of full fat cream cheese? If you do this, you are then defeating the purpose of eating Keto. 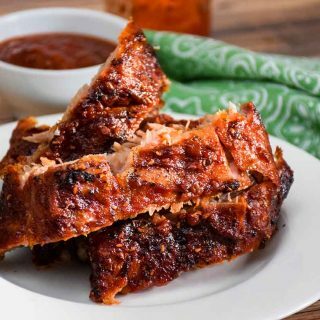 The Keto diet is high fat, low carb, moderate protein. 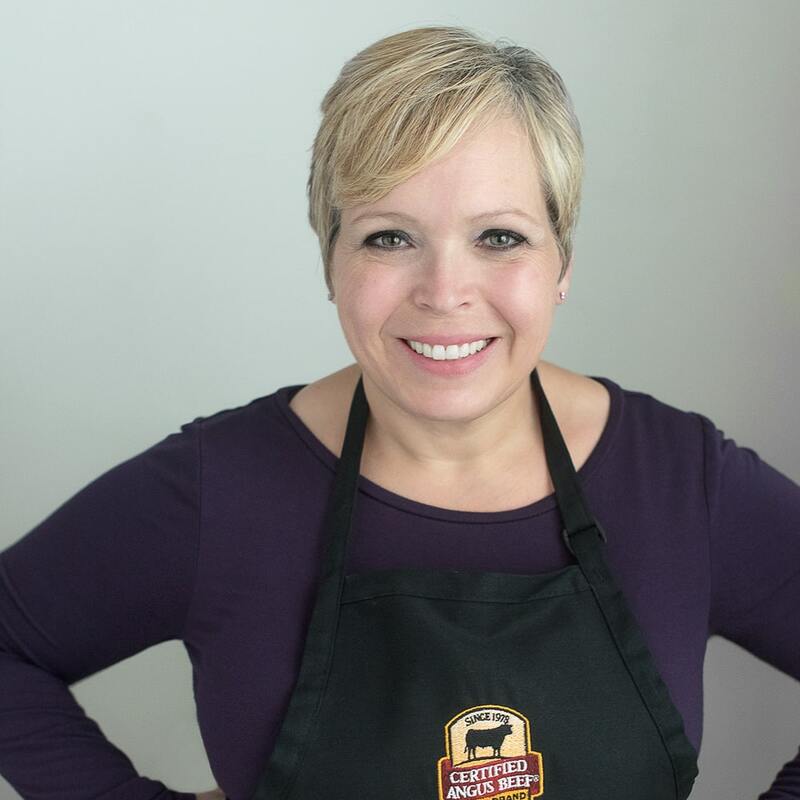 You need the fat in your diet when eating Keto so I do not recommend it. A delicious cookie crust with an almond cream filling and fresh strawberry topping. 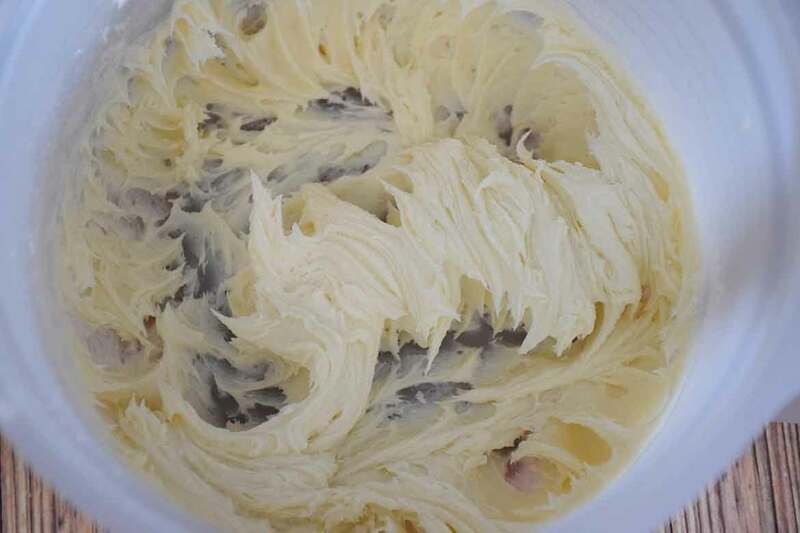 In a large mixing bowl, cream together the room temperature butter and cream cheese. Mix in Swerve sweetener until nice and creamy. 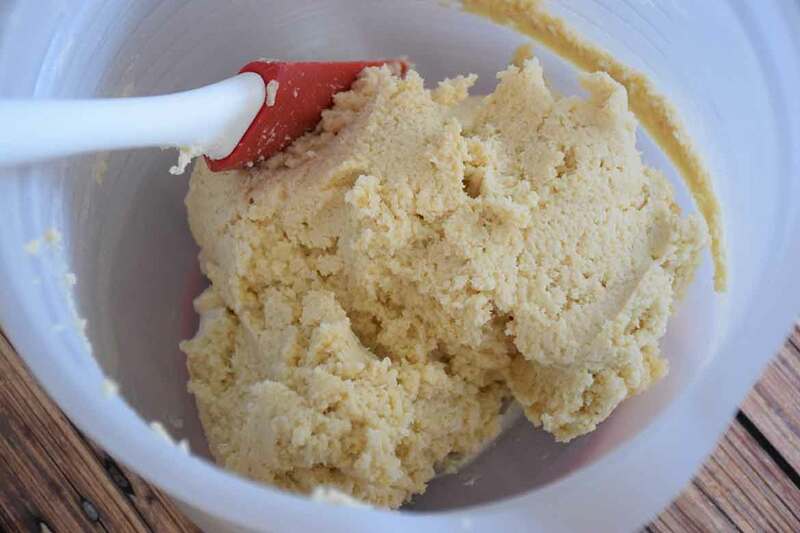 Using your hand mixer, add 1 cup almond flour and mix well. 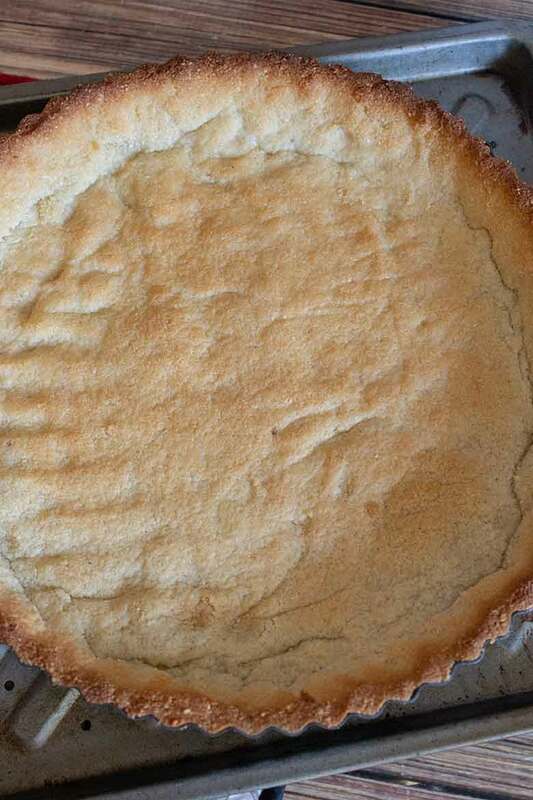 Generously spray bottom and sides of tart pan with cooking spray. Add your dough in heaping tablespoons around the bottom of your tart pan. 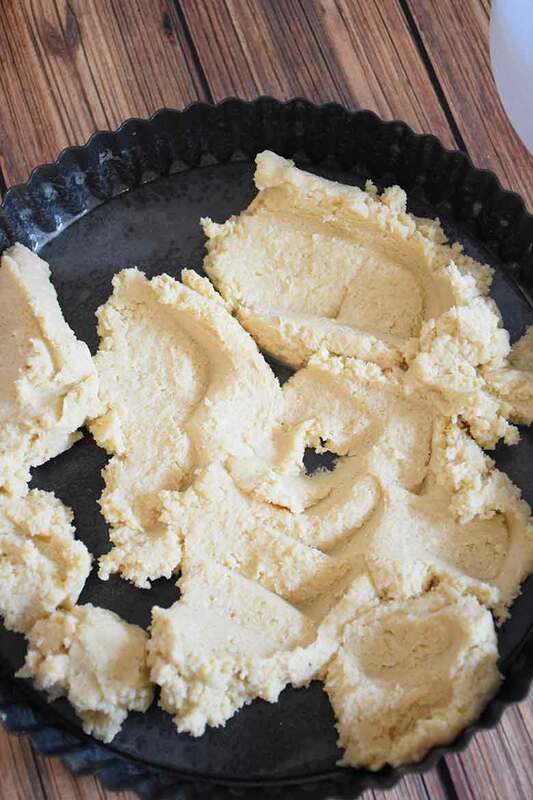 Using the back of a spoon or your fingers, press the dough out to cover bottom and sides of tart pan. In a 325 degree oven, bake tart until golden brown. Remove from oven and cool completely. Mix together almond cream filling and spread over cooled baked tart. Arrange strawberry slices over top of filling. Refrigerate until ready to serve. I absolutely love my non-stick removable loose bottom tart pie pan! This pan allows me to bake a gorgeous dessert and serve it outside of the pan! 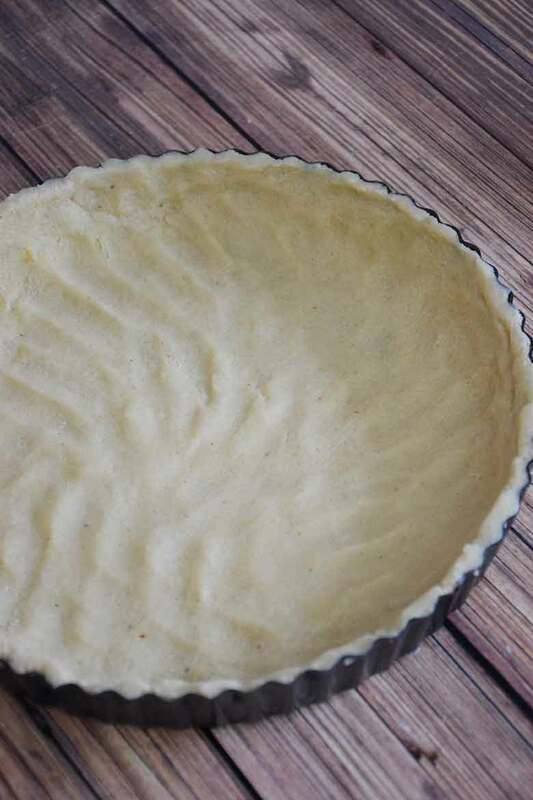 Allow the tart crust to cool about 20 minutes, then push the loose bottom up and the tart will pop right out! I highly recommend this pan for all of your tart making! A shortbread cookie tart filled with almond flavored cream and topped with fresh sliced strawberries. 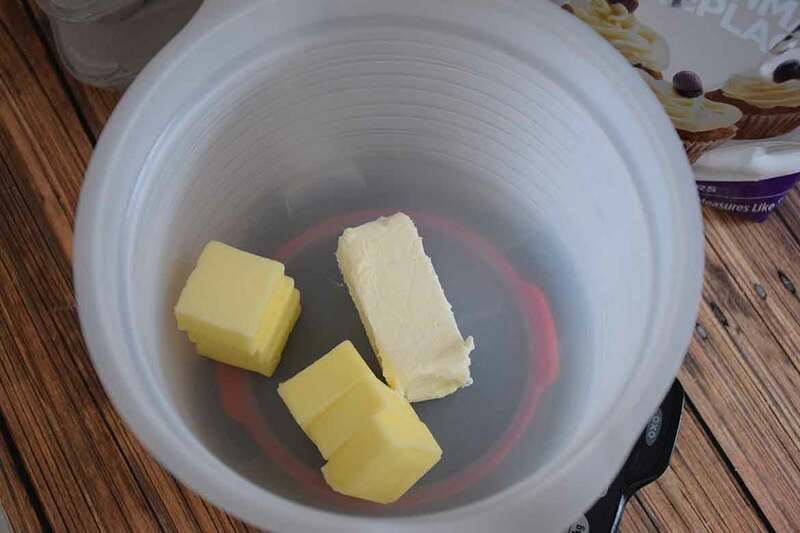 n a large mixing bowl, add cream cheese and butter and using a hand mixer, cream together until well combined. Add Swerve sweetener and mix until combined. 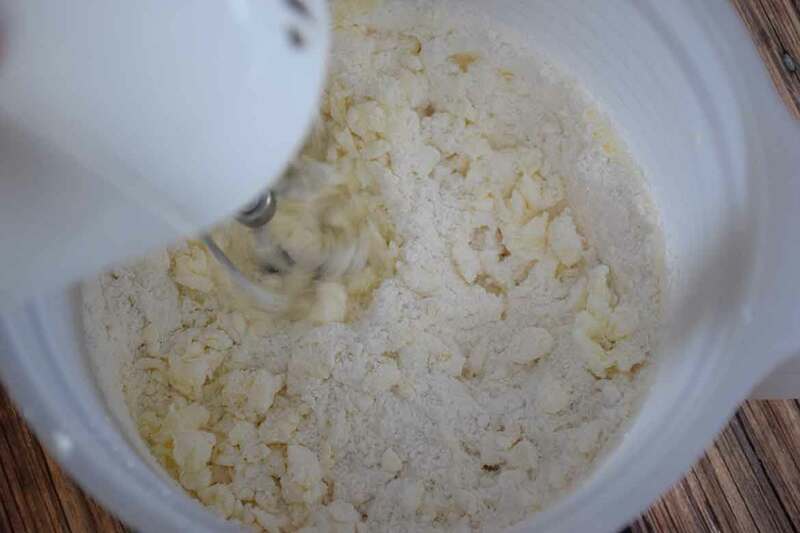 Mix in 1 cup of almond flour and salt using hand mixer. 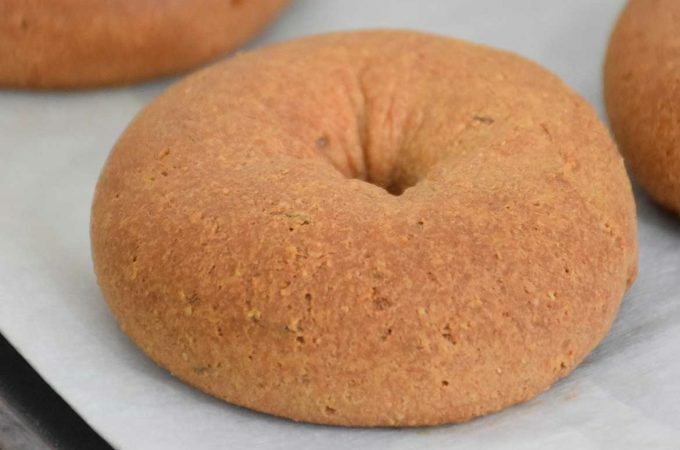 Switch to hand mixing, and stir in remaining almond flour and coconut flour until stiff dough forms. 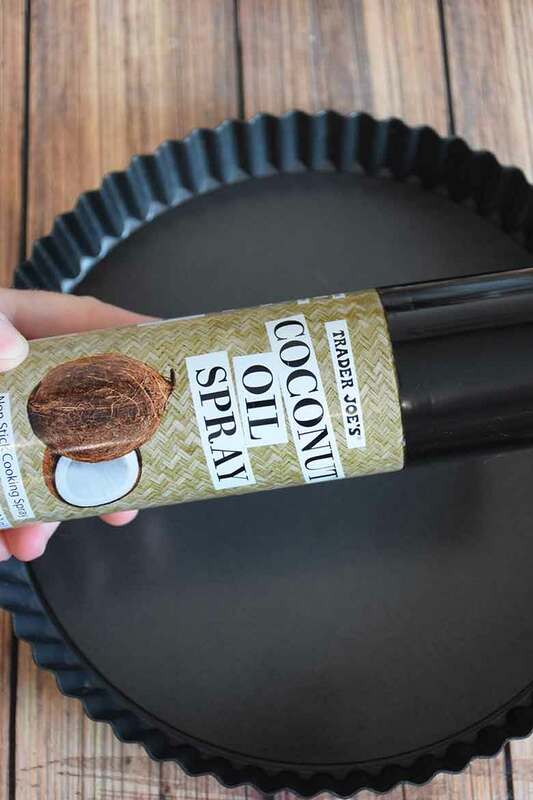 Spray tart pan well with cooking spray. Spoon dough into bottom of tart pan and press dough out onto bottom and up sides of pans. Bake 20 minutes, until tart is browned. 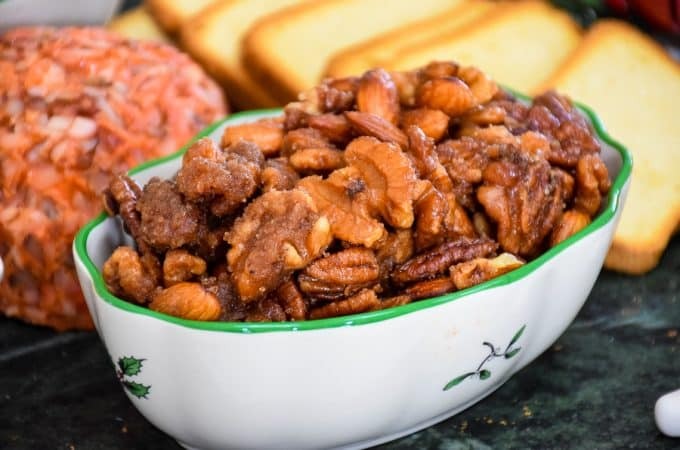 In large mixing bowl, cream together 8 ounces cream cheese, 1/2 cup powdered Swerve, and 1/2 teaspoon almond extract. Add 1 tablespoon of heavy cream at a time, mixing after each addition, until mixture is of spreading consistency. Spread over top of cooled tart crust. Arrange strawberries over top of filled crust. 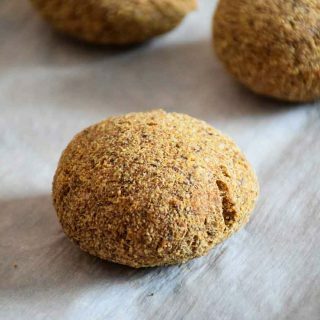 « Keto Slider Buns – gluten, dairy, and yeast free!